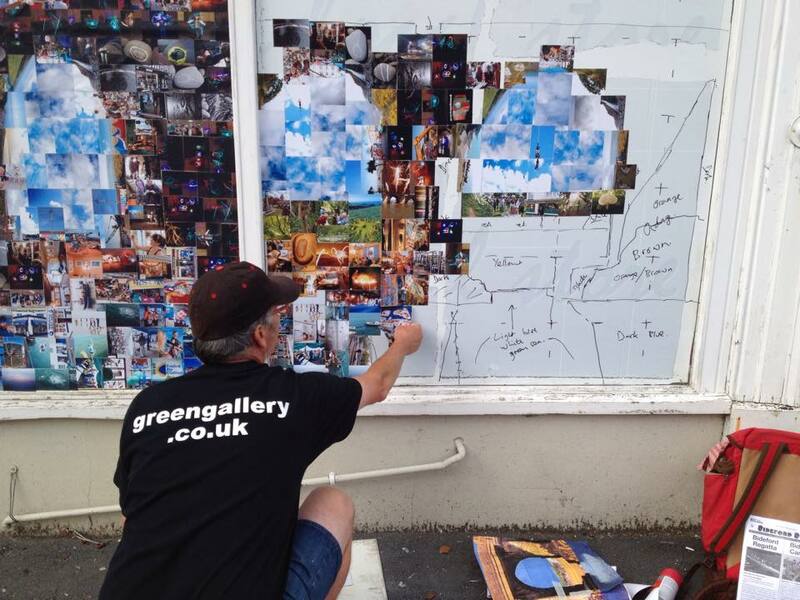 Dave Green’s Photomosaic sits in Jubilee Square, Bideford filling a 12×5 foot ugly blank peeling window. This artwork was conceived 6 months prior to the installation, and submitted to Bideford Bay Creatives for inclusion in their Culture Show 2015. 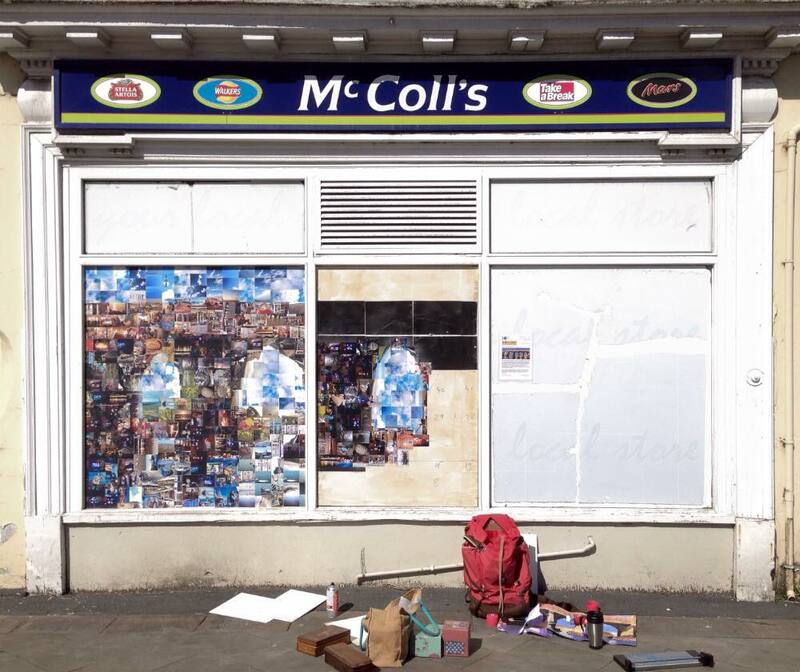 Once the concept was accepted permission was obtained from the shop manager of McColls locally and nationally and of the building owner to use a 12×5 foot blanked out window as a ‘frame’ for the piece. Permission was given so long as the artwork was temporary or was easily removable in the future. 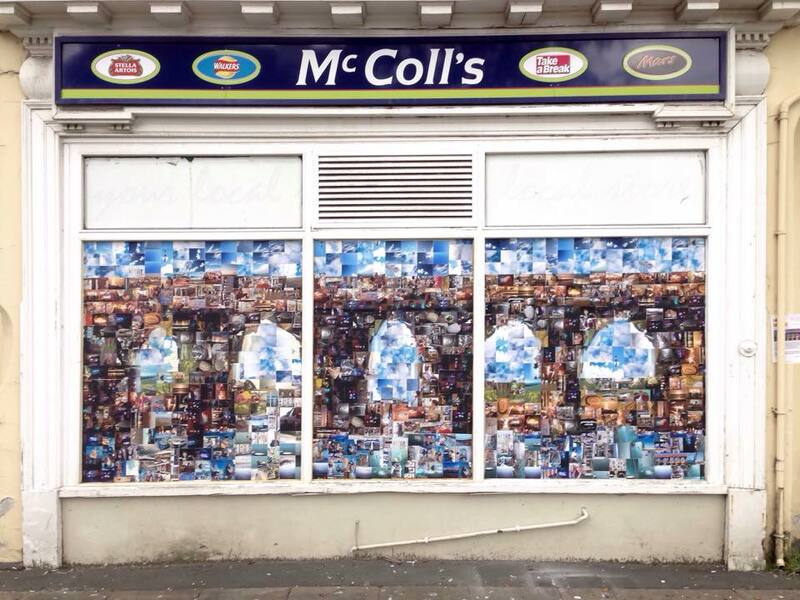 The finished Photomosaic was based on Bideford’s iconic, historic longbridge, which dates back to the 13th century and can only be seen as a bridge section from a distance; close up the image disappears into a random sea of images. Those images are mainly Dave’s documentary of various projects that BBC have been involved in over the past 6 years. There was also some involvement from Devon Youth Service in particular Cjayy Hirstwood, and also Stuart and Shirley Stickler who were happy to include pictures taken on BBC workshops and volunteered for a day in the installing of the mosaic. 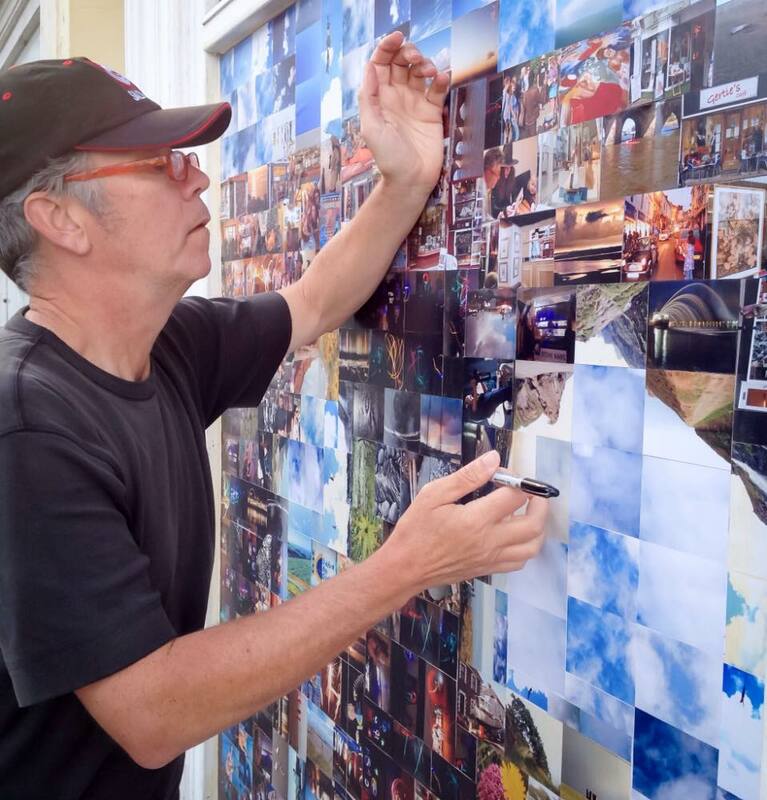 Dave’s Photomosaic will be featured in Tales of the Riverbank: Art Trail on Saturday Sept 19th.